A massive snow storm expected to blanket the tri-state region Wednesday prompted city officials to close schools even before the first flake dropped, while area airlines and public transportation scramble to stay ahead of the weather. Get the latest info on closures, traffic and mass transit. The storm is expected to bring blizzard conditions to then south shores of Long Island and New Jersey and dump up to 15" inches on the city. The flurries are expected to start in southwestern New Jersey around 11 p.m., and move east. New York City could get its first flakes between midnight and 3 a.m. It was the size of the storm that promoted the city to make the preemptive closures. "We made the session because we know now this is a situation where everything tells us we would be able to get kids to school in the morning but we'd have a real mess on our hands trying to get them home in the afternoon," said Schools Chancellor Joel Klein at a press conference at City Hall with the mayor. There are about 1.1 million students in the public school system. Snow days are rare. The last two were on March 2, 2009 and Jan. 28, 2004. The New York Archdiocese also canceled school for their schools in Manhattan, Bronx and Staten Island. Mayor Bloomberg said that city offices would remain open, and stressed that it was a difficult decision to close schools so early -- since we could potentially be spared an massive amount of snow -- but would rather be wrong with kids at home, than wrong with kids stranded in school. "I would love to have to explain to the parents [tomorrow] why we inconvenience them and closed the schools [for no snow]," he said. "We don't do this lightly, as Joel [Klein] pointed out, we've only had two snow days in the past eight years." Bloomberg said he was going to do Wednesday the same thing he does most days: "I'm going to take the subway, I'm going to put on boots, and gloves and a scarf and I'm going to come to work." Parents with children in non-city-related child care facilities are advised to call 311 for more information on whether they will be open or not. 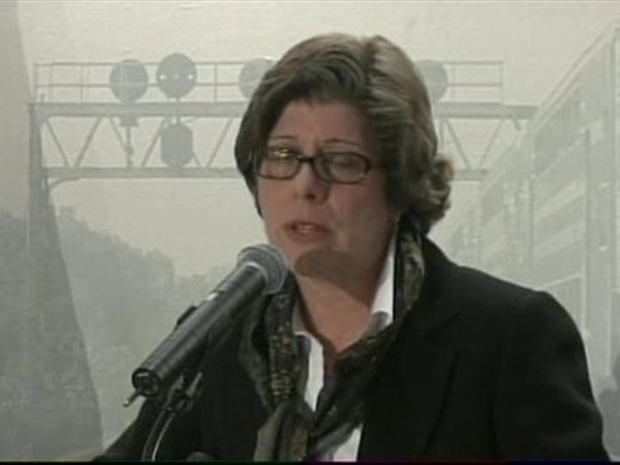 Helena Williams, President of the LIRR, addresses the railway's storm preparations. Residents who want to get temporary work shoveling snow can also call 311. Bloomberg pointed out that the prediction is for heavy, wet snow, "so if you're not in great shape, take it easy when you're out there... don't have a heart attack." The weighty snow could also lead to downed trees and power lines, and powerful winds are expected during the storm. Forecasts call for about 8 to 13 inches of snow across the New York metropolitan region, with heavier concentrations late Wednesday. The National Weather Service issued a winter storm advisory for New York's Southern Tier, along the Pennsylvania line. The forecast is for 4 to 7 inches of snow from Tuesday evening through Wednesday, enough to slow down travel. By morning commute Wednesday, around 5 a.m. to 8 a.m. it should be snowing across all of the metropolitan area. Expect a few inches on the ground across central NJ at least a couple if not more in the city during AM commute. The Hudson Valley, Connecticut and Eastern Long Island may have lighter amounts early on, but slippery and slow travel conditions for morning commute no matter where you are. Bands of heavy snow and increasing winds will ramp up across much of the area from 6 a.m. to 6 p.m., and accumulation could be rapid. Over eastern LI/Coastal NJ/south shoreline of Brooklyn/Queens and even in Manhattan there is a possibility of some sleet/rain mixing in and that could hold down the accumulations a bit. Even so, it will all be snow by late afternoon into the evening everywhere. The evening commute will probably be very difficult with blowing and drifting snow, but the storm should taper down after 10 p.m. from west to east. Current projections are for 10"-15" of snow in the metro area, as well as nearby surrounding suburbs and down the I-95 corridor to Philadelphia. North of Rockland/Westchester/Putnam toward Dutchess accumulations drop off to 4"-6" in most cases. Alternate side of the street parking will be suspended for Wednesday, the NYC DOT announced late Tuesday. For more information on travel, check with the MTA, PATH and NJTransit.